Hello! I'm Bri, the person behind Baubles & Blessings. I started B&B from the most humble of beginnings in 2010. 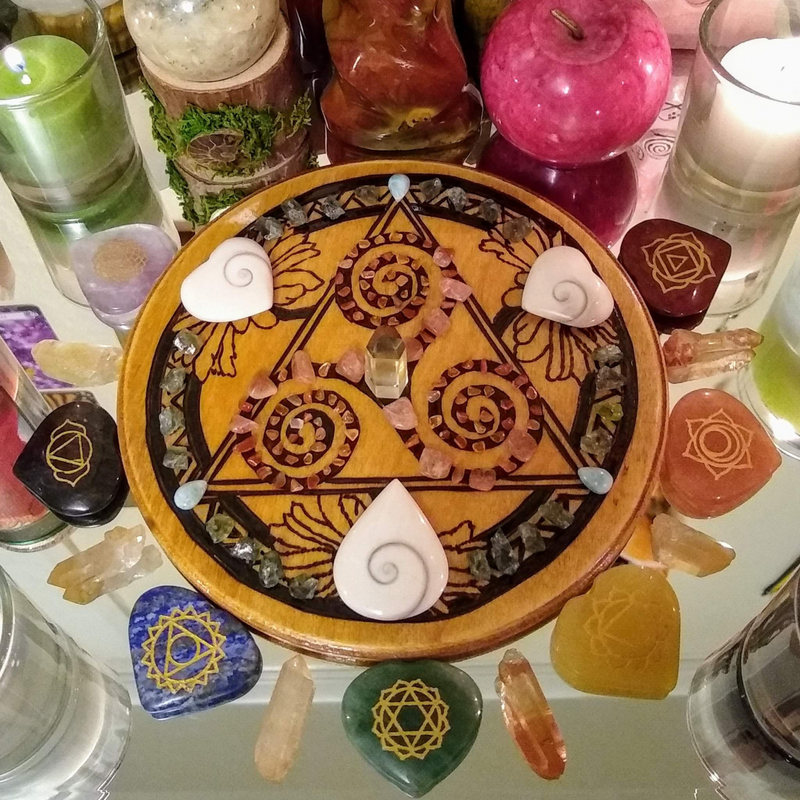 It's taken a long time and a lot of hard work, but after eight years of honing my design and beading skills, becoming attuned and beginning to practice Reiki, and doing a whole lot of networking, B&B has become what it is today — a fully legitimate small business providing a humble income for one disabled person. My spouse and I are both spoonies, dealing with chronic pain and illness for years. We are both unable to work outside of our home. They have a telecommuting job that pays a little more than rent, and most of the rest comes from B&B. AJ is also a talented artist, and I can't wait to share their work with you as they get used to using their new art tablet. We are queer folks. I'm a bearded genderqueer woman with PCOS, and AJ is a non-binary trans person. We are both eclectic pagan witches, children and flamekeepers of the Celtic goddess Brighid. Coming from the perspective of queer, non-gender-conforming folks dedicated to a goddess who's all about justice, and who have been homeless and continue to live in poverty... To say that fairness, justice and compassion are a big deal to us is an understatement. We do our best to regularly support people and animals battling adversity, and we're always open to hearing about organizations that would benefit from the modest financial contributions that we're able to make. 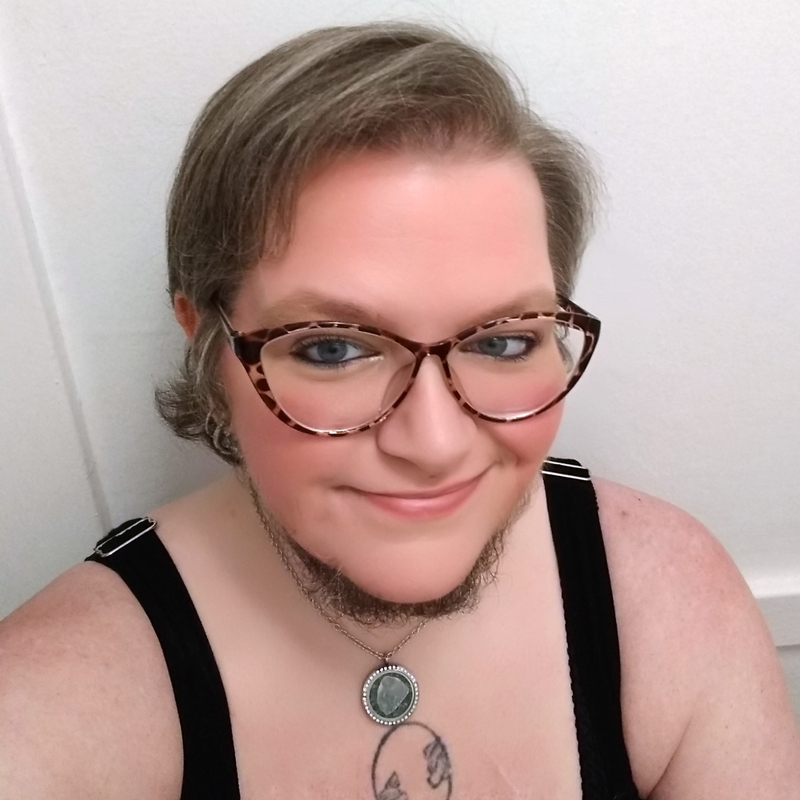 You are welcome to follow me on my Facebook page, Bri the Bearded Spoonie Babe, as I work to celebrate self love, normalize women's facial hair, and encourage body positivity. Finally, you can find my writing on HuffPost, Medium, and Fembot Magazine. Thank you SO much for your support! Your purchases, signal boosts and good mojo make a huge difference in our well-being, and our little spoonie hearts could not be more grateful. Much love and brightest blessings to you all!